For the film director, see Javier Aguirre (director). Aguirre began his career as a youth product of Club América in 1979, though he was sold to Los Angeles Aztecs of the North American Soccer League. Club América later bought him back, where he established himself as a midfielder. He played an integral part in their various title winning seasons, most notably during the 1983–84 season where América reached the league finals against arch-rivals Guadalajara, managing to score a goal in a 3–1 win at the Estadio Azteca. Aguirre also played outside Mexico, signing with Osasuna in Spain in 1986. In 1987 he transferred to Guadalajara, where he made over 100 appearances up until his retirement in 1993. Aguirre was then hired to coach CA Osasuna replacing Miguel Angel Lotina departed to Celta de Vigo, club for which he played for, of the Spanish La Liga, where he has been one of the most consistent coaches in the past years, mostly due to the achievement of all the goals he sets. After being hired to save Osasuna in 2002, he did so and stayed with the team until 2006, when he earned them a spot in the Champions League 3rd Qualifying Phase after a fourth-place finish during the 2005–06 season, culminating in entry to the UEFA Cup. On June 18, 2015, Aguirre was hired as new manager of the Al-Wahda FC from United Arab Emirates. ↑ "Mexico record international footballers". RSSSF. Archived from the original on 30 July 2014. Retrieved 30 December 2011. ↑ Orozco, Ivan (10 July 2009). "Perez gives Panama 1–1 draw with Mexico". CONCACAF. Archived from the original on 22 February 2012. Retrieved 10 July 2009. ↑ "Mexico coach Javier Aguirre suspended after brawl in Panama match". The Guardian. 12 June 2009. Archived from the original on 29 May 2010. Retrieved 30 March 2010. ↑ Lewis, Michael (26 July 2009). "U.S. kicking self after 5–0 blowout loss to Mexico in CONCACAF Gold Cup". New York Daily News. Archived from the original on 31 August 2009. Retrieved 27 July 2009. ↑ "Aguirre quits Mexico job". ESPN Soccernet. ESPN. 30 June 2010. Archived from the original on 21 October 2012. Retrieved 30 June 2010. ↑ "Javier Aguirre presentado" [Javier Aguirre became manager]. realzaragoza.com (in Spanish). 18 November 2010. Archived from the original on 3 January 2012. ↑ "El Real Zaragoza rescinde contrato con Javier Aguirre" [Real Zaragoza terminated contract with Javier Aguirre]. 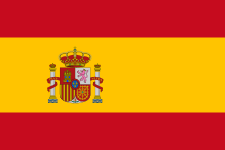 La Jornada (in Spanish). 29 December 2011. Retrieved 30 December 2011. ↑ Marshall, Tom (16 May 2014). "Former Mexico manager Javier Aguirre is set to leave his post in La Liga". Goal.com. Archived from the original on 20 July 2014. Retrieved 19 June 2014. ↑ "Espanyol: Sergio Gonzalez is named new coach". BBC Sport. 27 May 2014. Archived from the original on 28 May 2014. Retrieved 28 May 2014. ↑ Fielding, Gus (11 August 2014). "Aguirre embraces 'massive challenge' as Japan's new soccer boss". The Japan Times. Retrieved 4 December 2014. ↑ Hongo, Jun (3 February 2015). 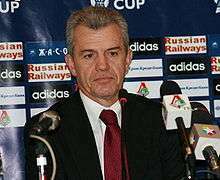 "Japan fires soccer coach Javier Aguirre". The Wall Street Journal. Retrieved 3 February 2015. ↑ Cerezo, Hugo (June 18, 2015). "Javier Aguirre ficha por el Al Wahda". Marca (in Spanish). ↑ ""El peor técnico del Mundial después de Raymond Domenech es Javier Aguirre": José Ramón Fernández". ↑ Georgina González Ontiveros (23 June 2010). "Pequeña teoría sobre Guille y compañía" [Small theory Guille and Co.]. ESPN. Archived from the original on 9 August 2014. ↑ "Javier Aguirre es un necio y terco: Carlos Albert" [Javier Aguirre is stupid and stubborn: Carlos Albert]. 22 June 2010. Archived from the original on 25 March 2012. Retrieved 5 August 2010. ↑ Guillermo Fadanelli (21 June 2010). "La sordera de nuestro Führer". El Universal. Archived from the original on 4 March 2012. Retrieved 5 August 2010. ↑ "Court accepts match-fixing claim involving Japan manager Aguirre". The Japan Times. 2015-01-14. Retrieved 2015-01-14.